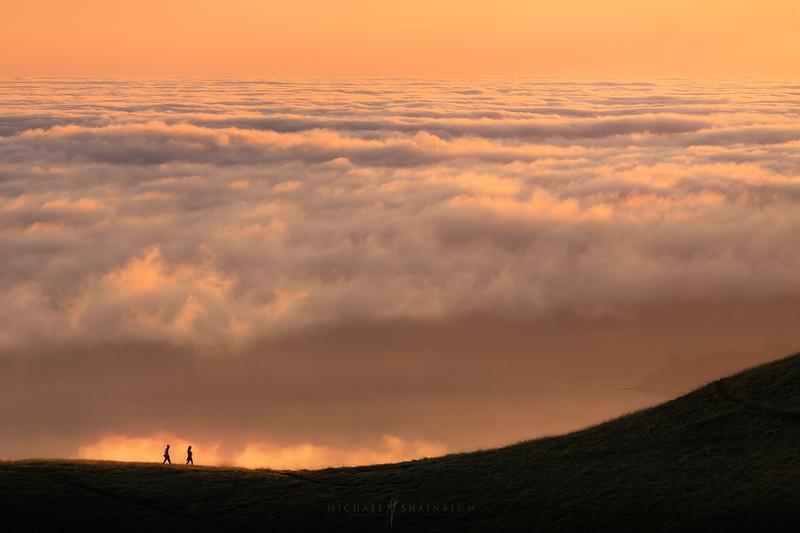 Two figures walk along the Mount Tamalpais ridgeline at sunset. Wow!! Love it - right time, right place and a great eye... Well done. Fabulous. Is this for real or a composite. Eighter way it is terrific ! I am no expert, just an amateur, but this photo is awesome!